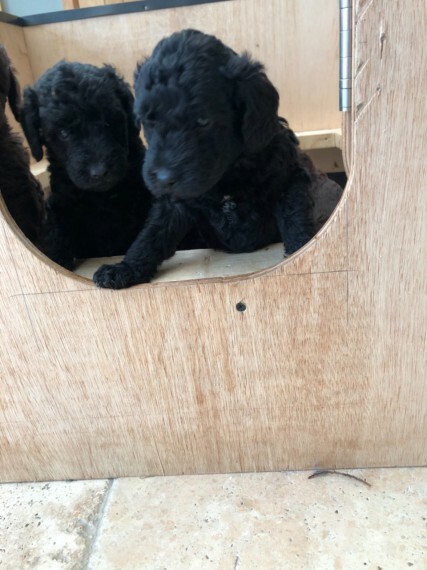 4 beautiful beddypoo puppies available. mom is a KC Blue Bedlington and is our family pet. Dad is a KC Toy poodle apricot he is a stud dog. Puppies will be fully wormed upto date. microchipped and first injections. They will be similar look and size to cockerpoos. Available 1 Blue dog DUE TO TIME WASTERS Puppies have been brought up in a busy family home so will use to noises and well socialised. Viewing welcome but please no time wasters.